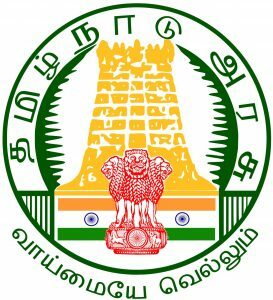 TN MRB Assistant Surgeon General Recruitment 2018: The Tamil Nadu Medical Services Recruitment Board have begun their TN MRB Assistant Surgeon Recruitment 2018. 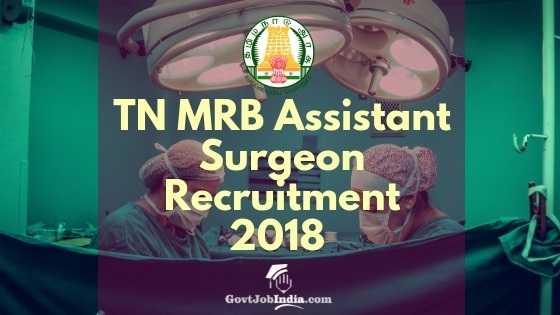 This TN MRB Recruitment aims to recruit candidates for the post of Assistant Surgeon.There are 1884 Assistant Surgeon vacancies available for candidates. Candidates can apply online @ mrb.tn.gov.in where they will find the Online Application Form. All the details that you desire regarding the Application Form, TN MRB Assistant Surgeon Salary, TN MRB Assistant Surgeon Eligibility etc are on this page. So keep reading for the latest news regarding TN MRB Asst. Surgeon General Recruitment 2018. All candidates who have the basic required educational qualification of MBBS pass can have a crack at this recruitment drive. Keep in mind that you will be facing stiff competition from all the other candidates who also are looking for the TN MRB Assistant Surgeon General Vacancy 2018. The Application start date was on 25th September. TN MRB will accept Assistant Surgeon Online Application forms till the last date on 15th October 2018. Find all the details you need regarding the TN MRB Surgeon Recruitment in the sections below. Must be a registered practitioner within the meaning of the Madras Medical Registration Act, 1914. Must have served as House Surgeon (CRRI) for a period of not less than twelve months. Candidates should have registered their name in the Tamil Nadu Medical Council on or before the date of this Notification. If a candidate claims that the educational qualification possessed by him/her is equivalent though not the same as those prescribed for the appointment, the onus of proof rests with the candidate. Click New registration to open up the Onlne Application form. Pick the name of the post you are applying for, in this case, Assistant Surgeon. Mobile number and email id are mandatory for TN MRB Assistant Surgeon Online Application. all communication from TN MRB will be made through the mobile number and email id you supply during registration. You can now proceed to pay the TN MRB Assistant Surgeon Application Fees via net banking, debit card or credit card.